01. The sin of Transience (forgetting that occurs with the passage of time). 02. 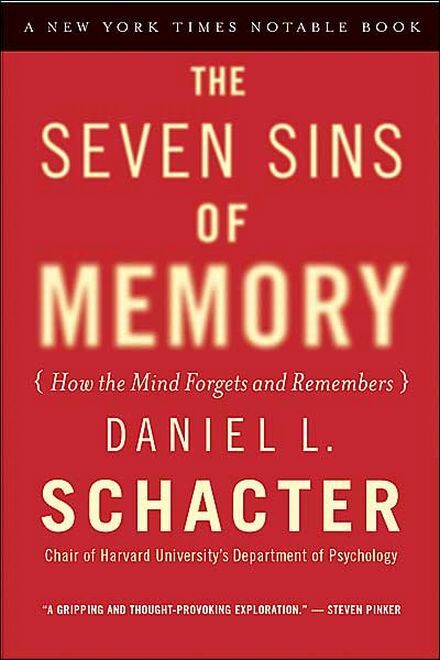 The sin of Absent-mindedness (lapses of attention that result in failing to remember information). 03. The sin of Blocking (forgetting that which was memorized). 05. The sin of Suggestibility (incorporating misleading information from external sources into personal recollections). 06. The sin of Bias (distorting influences of our present knowledge on new experiences or later memories of them). 07. The sin of Persistence (remembering those things you wish you could forget).